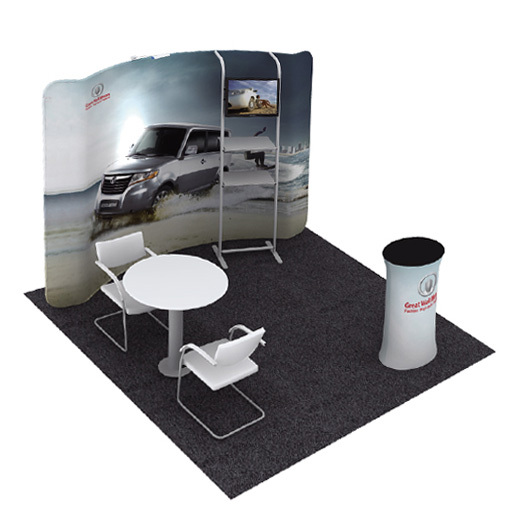 Concave Tension Fabric Wall comes in a standard height of 2280mm high, and available in 3 widths. Featuring stunning print quality on a stretchable fabric that slips over an easy to assemble metal tubular frame. 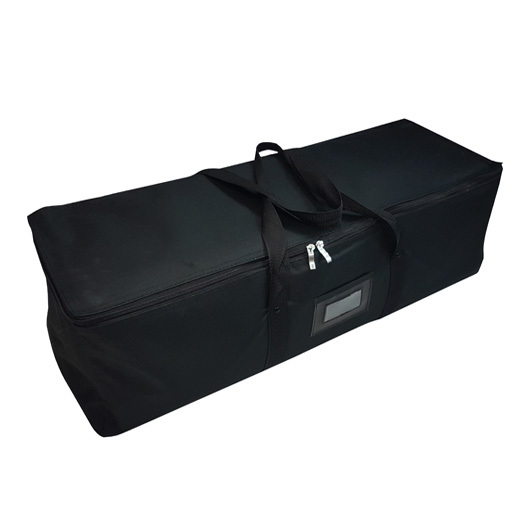 Conveniently fits into a canvas bag measuring only 87 x 37 x 37cm. Extremely lightweight reducing expensive couriers costs. 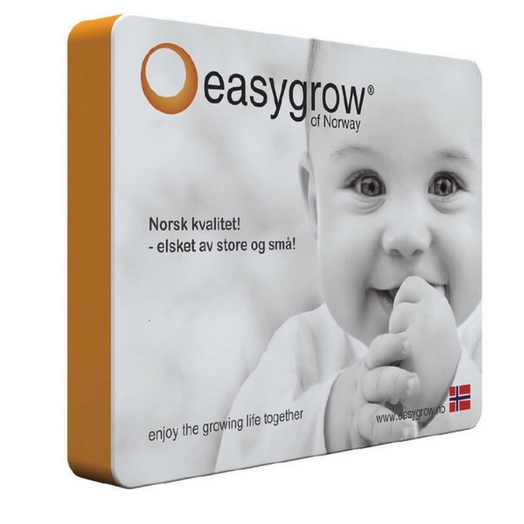 Single sided printing only available for this model. 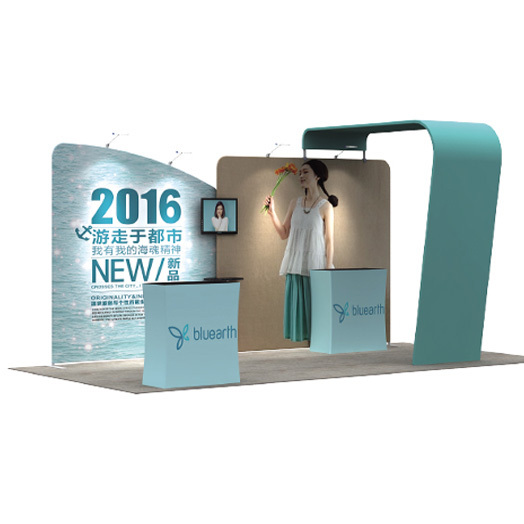 A Fabric Tension Display Concave Wall is a lightweight and stylish way to make a design statement at any exhibition, trade show or interior event. 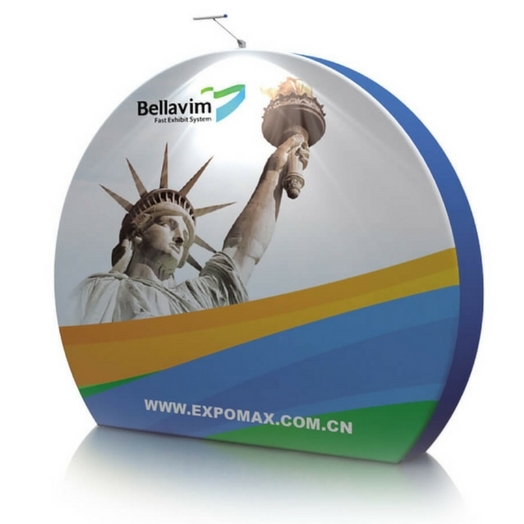 A Concave Shaped fabric wall will ensure that your display draw the attention of potential customers in whatever setting. 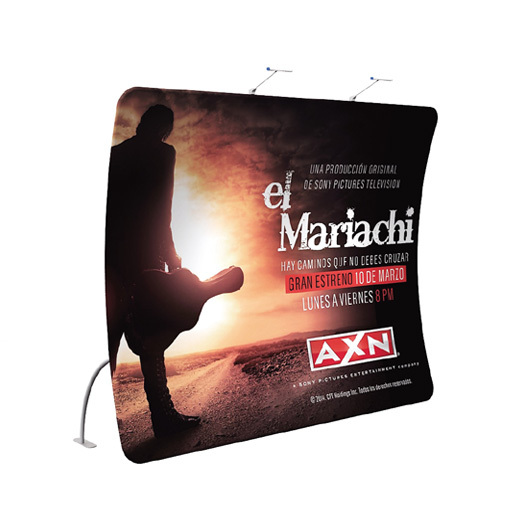 Lightweight and stylish a Concave Wall Fabric Tension Display combines the latest in fabric printing technology with a lightweight and easily erected frame. 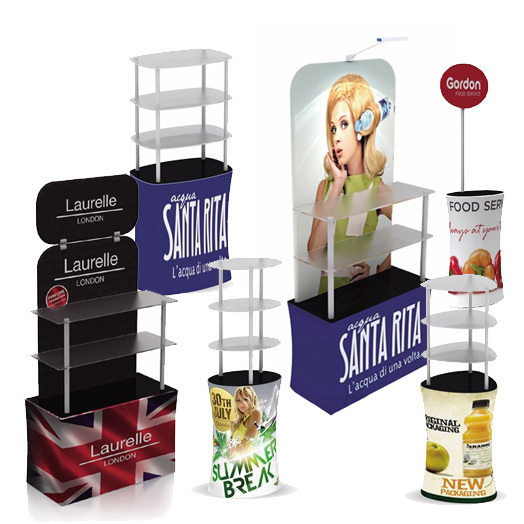 The Concave Tension Fabric Display Wall comes in a standard height of 2280mm high and is available in 3 widths. 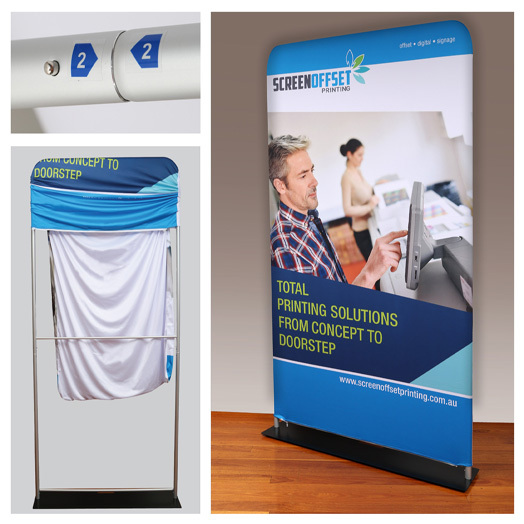 The stunning print quality on a stretchable fabric slips over an easy to assemble metal tubular frame ensures that you need not worry about creases. Once you have decided on size, book online and upload your artwork directly via our website or call Screen Offset Printing today on (07) 3265 1900 or drop into the office at 202 Robinson Road, Geebung Brisbane to discuss your signage needs.